Miners are meant to rehabilitate old mine sites. An attractive alternative can be to turn them into money-making concerns by means of pumped hydro. 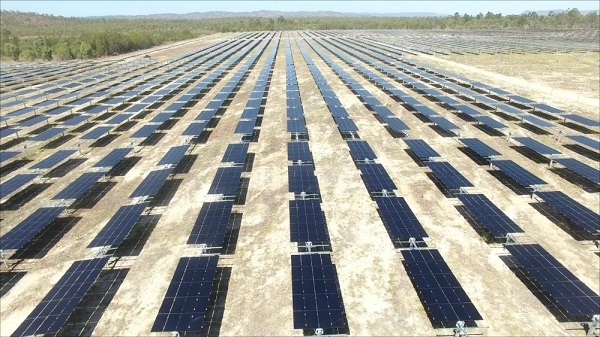 On 27 November Sophie Vorath wrote that the first phase of the Kidston Renewable Energy Hub – a world-first solar and pumped hydroelectricity hybrid – would be generating power for the grid within the next 10 days, which means it started to operate while the votes were being counted in the Queensland election. The first phase comprises a 50 MW PV array, to be followed by another 270 MW of solar PV and pumped hydro energy storage capacity of 2000 MWh by the time it is completed, in early 2021. When complete, the Kidston Renewable Energy Hub will provide around 783 gigawatt hours of renewable energy per year, enough to power around 140,000 average Australian homes via a new transmission line. “That transmission line will effectively hook into Townsville and Cairns and all of that northern part of Queensland will be fed off the electricity we generate,” Genex Executive Director Simon Kidston says. The Queensland government is building a second transmission line for Stage Two, which will connect the hub to the National Electricity Market. The project is also a job-spinner. Stage one already has 88 people on site, with stage two expected to employ 500 people when construction begins next year. The Northern Australia Infrastructure Facility is also considering the project for funding. The developers see the hydro project as a peak power generator as well as a water battery. When the planning was done the price of gas was $2-$3 a gigajoule, now it’s $8-$10 a gigajoule. Genex Executive Director Simon Kidston, great-great grandson of William Kidston, the 17th Queensland Premier, after whom the gold mining town was named, said that there were at least 5-10 sites around Australia that would be suitable. One such is emerging at the 47-year-old Kanmantoo copper and gold mine, which is located about 50 kilometres south-east of Adelaide. Earlier this year consideration was being given to extending the pit underground. 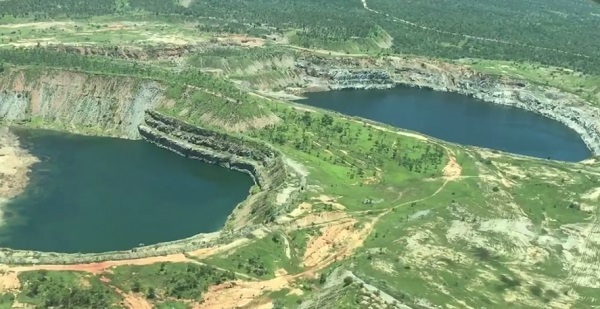 A drop of close to 250 metres already separates Hillgrove’s tailings dam from the bottom of the Kanmantoo mine pit, and McClare says that distance will stretch to 427 metres after a further 18 months of mining. water is pumped uphill to a higher reservoir when electricity prices are low, then released to the lower reservoir (via energy-creating turbines) when prices are high. The strategy would be simply to take electricity off the grid when the spot price was low, and sell back in when it’s high. Of course this activity would over time, and especially if it is extended, even out the prices at both extremities, as well as stabilise a grid heavily committed to wind and solar. The development cost could be half that experienced by a ‘conventional’ pumped hydro. a hydro facility could be operating at Kanmantoo by 2021, although any final decision would be weighed against the potential to extend copper mining beyond the current permit to 2020. ANU’s professor of engineering Andrew Blakers led a study which identified 22,000 sites across Australia that were suitable for pumped hydro and had an elevation change of at least 300 metres. A number of mine sites were included, but not Kanmantoo, because it was then too shallow. Two of Australia’s most famous mining towns, Kalgoorlie and Mt Isa and , were nominated by Blakers as having particularly good potential for pumped hydro sites. 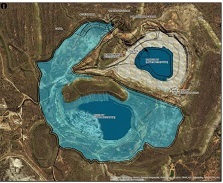 There were two or three mine-based potential pumped-hydro sites near Mt Isa, including the old uranium mine at Mary Kathleen. Mt Isa is of particular interest because it uses a lot of power and is not connected to the grid. The “green steel” project includes 200 megawatts of solar panels on the former Arrium steelworks at Whyalla and nearby council land, a 100 megawatt/100 megawatt hours battery at Port Augusta, 100 MW of “demand response” and a 120 MW/600 MWh pumped hydro storage facility in an old iron ore mine near Whyalla. It comes with in-principle agreement to add another 480 MW of solar capacity as the market requires, which could cost another $900 million-$1 billion, and plans for waste heat and gas co-generation that are still being finalised. I’m not certain it involves an old mine site. Old mine sites are also being considered in Ontario, Canada, and in Germany, but Australia is at the leading edge, and Genex is partnering with tier-one companies to develop their project, including US PV heavyweight First Solar and German-based inverter giant SMA. Genex has also been helped by a 20-year agreement with Queensland state-owned energy company, CS Energy, to buy the power for 20 years, and has struck a 30-year agreement with state-owned Ergon on grid connection, all concluded under the ‘do nothing’ Palaszczuk government. Contrast the LNP Nicholls proposal not to waste any more money on renewables and to initiate a northern coal-fired power plant project within two months of gaining office. Nice to see pumped hydro getting more attention. Used in conjunction with renewable pumping energy it is a very long-lasting solution to power generation pollution in Australia. http://re100.eng.anu.edu.au/ Select date 21 Oct., and there is a wealth of material on many things at the site. Geoff, I tend to favour pumped hydro over batteries. I worry about life-cycle effects of batteries and ultimately disposing of them. Molten salt with concentrated solar is also good. Batteries like Tesla are very helpful at household levels and for managing peak demands and power quality. But for sustained grid supply you need something more robust. I’ll still lean towards pumped hydro because once built it has a very long working life. Salt is stored at around 600C and the technology for handling /managing the stuff would be pretty expensive. However, about two years ago the Uni of SA was developing a household size salt battery – have not heard much about that for a while. I’d be interested in JD’s comments comparing grid salt vs pumped. Seems Kidston powered up during the first week in December, as the votes were being counted. I tend to favour pumped hydro over batteries. I worry about life-cycle effects of batteries and ultimately disposing of them. I share your concerns. Batteries tend to have an operational life of 5-15 years, that need to be recycled to recover the materials for re-use. Pumped-hydro energy storage (PHES) can have an operational life of a century or more. Energy stored per whole-of-life energy costs would be far more favourable for PHES. But both batteries and PHES are energy storage systems – they are not primary energy generation. For batteries and PHES to function, they require primary energy generation, which could include coal-fired generation. Energy storage systems, like “Snowy 2.0”, could prolong coal-fired generation. The primary goal is to retire coal & gas generation to lower carbon emissions to net zero by 2050. It’s interesting to see how allowing the roll-out of various systems, if left unmanaged/uncontrolled, can have unintended consequences. Salt is stored at around 600C and the technology for handling /managing the stuff would be pretty expensive. On what basis do make this claim? What compelling data and reasoning do you have to justify this statement? Please consider this: Coal-fired and gas-fired supercritical and ultra-supercritical power stations operate with steam at a range of 565-650°C and at high pressures. There are thousands of these examples around the world, and the material technology to handle and manage the working fluid is mature and well understood. The molten salt working fluid used in CST+ molten salt energy storage systems operates at similar temperatures, but at low pressures. Molten salt energy storage technology is commercially proven – Solar Two was developed and proven in the 1990s, and the Andasol solar power plants with 7.5 hours of molten salt storage in Spain have been in full-scale commercial operation since 2008. The Crescent Dunes Solar Energy Project, developed by SolarReserve, is a 110 MW net solar thermal power project with 1.1 GWh (or 10 hours) of energy storage, located in Nevada, USA, commissioned in February 2016. Why would “handling /managing the stuff … be pretty expensive”? Please explain? The salt used is a mixture of 40% potassium nitrate and 60% sodium nitrate. When in its molten form, it is a clear liquid with a viscosity similar to water. Molten salt as a working fluid and storage medium has the benefits of low cost, material stability (it is not flammable), abundant raw material availability, material safety (it is already used as an agricultural fertiliser) and a product development roadmap. To generate steam, water is passed through a series of standard shell-and-tube heat exchangers to transfer heat from the salt to the steam. This heat exchange system is very flexible — changes in flowrate and energy transfer can be achieved in seconds to minutes, meaning that the power output can be ramped up and down quickly. Are you saying BZE have it all wrong, and have misunderstood/miscalculated the technological and economic challenges? Has the South Australian Government made the wrong decision with the announcement of the Aurora project with the SolarReserve design for a 150 MW plant with 8 hours energy storage, scheduled to be built by 2020? Or did you make an ‘off-the-cuff’ remark without any thought/reasoning or compelling data to back it up? Geoff M the tenor of your response is curious, and sounds very Hansonesque. That’s fine, it’s your right. I did err in that I was taking “salt” literally in the common sense, viz. NaCl. And salt has significant corrosive properties, especially at elevated temperatures. So does potassium nitrate. In fact potassium nitrate is pretty nasty stuff and will self combust in the presence of some materials and is a skin, respiratory, gastric and eye irritant. I think that adds some complexity to the engineering. “Thousands of ultra-supercritical…around the world”. That surprises me – got a source for that? And in any event the claimed benefits are overstated. Geoff did I light a match under your chair? I simply expressed a view the pumped hydro was my preferred power source and youv’e challenged that like a rabid creature. I’ll say OK, let’s agree that both systems are good, but in my view, pumped hydro is better. You explain that there are energy losses associated with pumped hydro – of course there is. But the concept of pumped hydro is that it uses renewables to do the re-charge. That’s the plan at Kidston. I have great respect for BZE and did not challenge them, did not even mention them in fact. ‘Don’t know that it was necessary to include that stuff in your response. I did not mention response time but if you care, pumped hydro has a very fast ramp-up time – I’m guessing at less than one minute. I’ve been scratching my head as to why it seems necessary to be negative and derogatory about other people’s points when making a point. For the moment I have a post to write, but Geoff M you should pay attention to what Ambi said some days ago now. If things go wrong, everyone should ponder as to how they may have contributed. Hmm Brian if I am guilty please accept my apologies. Geoff M if I reacted negatively please accept my apologies. I’ve noticed a little bit of that too. Just civility, please. I think we should all be motivated by compassion – how we can help people and improve their day. Not saying I always follow that precept myself. New Saturday salon now up. GM: Why would anyone in their right mind link coal fired with energy storage in this day and age? Pumped storage will lose water over time due to evaporation hence it is important that a reliable source of water (fresh, salt or whatever ) is needed to compensate for this loss. It would help of course if water normally flowed into the upper dam so that part of the output is just hydro power. It is also worth keeping in mind that the power loss due to pump/turbine inefficiencies are not completely negligible. As far as I recall, it is a law of thermodynamics, that every conversion from one form of energy to another will necessarily involve energy loss. We mortals refer to “energy efficiency” or IECE (index of energy conversion efficiency ). I’m surprised to see that you cite no IECE figures in your post. I was referring to IECE in my recent opus, posted at this very website, when I cited the classic Carnot cycle of an “ideal gas” in a simple heat machine. Quite low efficiencies (steam engine, boiler for electricity generation, etc.) Lousy IECE, but what can you do? All that heat going up the smokestacks into the atmosphere. Crikey!! No wonder we’re getting some hot summers. JohnD: your point about natural water flows going into the upper dam is well taken. Pumped storage/hydro combination… a fine hybrid. Surely makes adaptation of existing hydro setups look a neat and readily achievable goal. PS: an idea whose time has come can be OK, even if it has been touted by Mr Turnbull !!! On the other hand, what you say for the conversion of heat to mechanical/electrical energy is never better than that predicted by the Carnot cycle, at least at macro scales. Geoff did I light a match under your chair? I simply expressed a view the pumped hydro was my preferred power source and youv’e challenged that like a rabid creature. I challenged your “expressed view” and you cannot seem to defend your views with reasoned arguments/logic and evidence. Instead, you resort to name calling (e.g. “rabid creature”). It may be your view/opinion but if you cannot defend your position with reasoned arguments and credible evidence, then what worth is it? None, in my opinion. I did err in that I was taking “salt” literally in the common sense, viz. NaCl. And salt has significant corrosive properties, especially at elevated temperatures. So does potassium nitrate. In fact potassium nitrate is pretty nasty stuff and will self combust in the presence of some materials and is a skin, respiratory, gastric and eye irritant. I think that adds some complexity to the engineering. In other words, it seems to me you don’t know what you are talking about, and have thrown in more suppositions without any solid evidence to support them. You directly contradict BZE’s statement that I referred to, where it states: “…material stability (it is not flammable)…”, when you state “…will self combust…”, without any reference to back it up. How is “skin, respiratory, gastric and eye irritant” relevant to the complexity of the engineering of CST power plants? There are many chemical plants around the world that deal with far more hazardous chemicals. I referred to a proven track record for the Solar Two project developed in the 1990s, the Andasol solar power plants in Spain since 2008, and the Crescent Dunes Solar Energy Project commissioned in February 2016, and you appear to have ignored these. Experience has been gained and you seem to ignore it. I have great respect for BZE and did not challenge them, did not even mention them in fact. ‘Don’t know that it was necessary to include that stuff in your response. You have so great a respect for BZE that you appear not to be aware of some of the technical details in their key documents like the Stationary Energy Plan (i.e. what is the composition of the molten salt working fluid). I included this information because I suspected you didn’t seem to know – it seems I was right – but you do know now. Perhaps you should be better acquainted with the technical merits of various energy technologies before passing further judgements on them? “Thousands of ultra-supercritical…around the world”. That surprises me – got a source for that? Ultra-supercritical: _ 216,844 MW (12% global share). From the Coal Plants by Country (Units) – July 2017 statistics document (for units 30 MW and larger) there are 6,711 operating units throughout the world. Therefore, supercritical + ultra-supercritical representing 36% of global share, could be roughly 2,400 plants. These are not exact numbers, only circumstantial inference from the available statistics, but it suggests to me the quantity of individual generator units (not plants, which may include more than one generator at a site) is in the 4-digit range for supercritical plus ultra-supercritical generators. And this is only for coal-fired generators – add gas-fired and nuclear, and there would likely be more. I’ll say OK, let’s agree that both systems are good, but in my view, pumped hydro is better. You explain that there are energy losses associated with pumped hydro – of course there is. But the concept of pumped hydro is that it uses renewables to do the re-charge. That’s the plan at Kidston. I say that concentrated solar thermal with molten salt energy storage (CST+MSES) is likely to be better than pumped-hydro energy storage (PHES). Why? CST+MSES is primary energy generation – PHES is not primary energy generation – PHES is an energy carrier, like batteries, and hydrogen. PHES consumes more energy than it reproduces, which means the EROI, in isolation, is less than 1:1 – in other words, PHES, batteries and hydrogen are energy sinks. PHES is critically dependent on primary energy generation for PHES systems to function. PHES, in conjunction with primary energy generators lowers the EROI of the combined energy system – for coal-fired generators, that is less important because the EROI for a coal-fired generator in isolation is usually significantly higher (i.e. EROI in the range 20-30:1), when compared with renewables like wind (EROI up to 18:1) and solar-PV (EROI from 6-12:1). EROI studies are still evolving, and the renewable energy technologies are still developing, but EROI can be useful as an indicator to grade and compare the various technologies. It seems to me that when I challenge some people on their views/opinions I have been receiving derogatory comments and personal attacks, instead of reasoned arguments and credible evidence to defend their positions. I ask that you think through your opinions/views before expressing them, and be prepared to defend them with reasoning/logic and credible data. That’s what I try to do. I find by defending a position, it helps to refine and enhance an understanding of the issues. If you click on this link, then click on the “correspondence” link, you should find my correspondence to the Australian Senate inquiry into the NAIF. Following the 2-page cover letter, you should find my presentation PowerPoint slides delivered in person to Andrew Gee MP on 4 April 2017. Slide #4 shows global primary energy consumption in 2015, in percentage terms, and Australian primary energy consumption from 1974/75 through to 2014/15 in petajoules, on a graph for coal, oil, gas and renewables. This may not be the latest data currently available (if you want more recent data then go to it), but my point is that it indicates how, “in this day and age”, our civilisation is still currently heavily dependent on fossil fuels for our primary energy needs. Energy storage can be complimentary for fossil fuel generation, particularly coal-fired generation. The Snowy PHES scheme has been used to compliment coal-fired generation, long before wind and solar primary generation became part of the energy supply mix. I think the key goal is to reduce GHG emissions. That requires more renewable energy primary energy generation with steadily declining fossil fuel consumption, from now on. PHES, batteries, and hydrogen are energy carriers (they are also energy sinks) – they are not energy sources. Energy carriers can prolong the consumption of fossil fuels for longer. The priority is to build more zero-carbon emissions renewable primary energy generation while phasing out all fossil fuel primary energy generation by 2050. I think there is considerable risk energy storage can prevent that from happening, particularly when there is a greater proportion of fossil fuel primary energy generation versus renewable primary energy generation. See this post, particularly under the sub-heading: Australia’s Problem is Coal – Not a Lack of Energy Storage. I think there are valid points made there. I’ve outlined my reasoning. What reasoning do you have to refute my reasoning? What makes you think energy storage cannot continue to be linked with coal-fired generation? Please explain your reasoning? …but Geoff M you should pay attention to what Ambi said some days ago now. I don’t wish to misunderstand you. Can you please be more specific? GM: From my point of view assessment of power generation and storage systems comes down to emissions, costs and the extent to which technical criteria like system turndown ratios and the speed to which system output can be changed to meet changes in demand. In the longer term the value of these costs and characteristics may change as improved demand management provides an alternative to improved supply management. Can’t see fossil fuel fired power having a long term role apart from the sort of peaking power that is only used for a few days a year. and it seems to me you misread his statement, as if he had alleged the DoD produced biofuels. And went on to condemn such abysmal ignorance with withering disdain. But he had not suggested that at all. If you have time, you might care to go back and check that. I reckon you misread his statement. And then constructed a mountain range out of a tiny divot. I’ll await Brian’s response, but it may have been an instance when I started making suggestions about courtesy, etiquette, good manners etc. My publisher tells me it’ll be quite some time before my Collected Sermons appears, so I can’t even refer you to that. Geoff M thank you for your detailed response to my apology posted a few days ago. I’m not tempted to pour fuel on the fire by responding to your flame. However I would encourage you to read ISBN 0671027034. First published circa 1936 it is still highly relevant and you may find it helpful. It is still in the top 100 most influential books but it may have escaped your attention. Geoff M, I’d have to go back and look for it, but I don’t need to, and have other things to do. Energy cannot be created or destroyed (in compliance with the first law of thermodynamics), only converted from one form to another. The “energy loss” you refer to is due to inefficiencies in the conversion process, and the “lost energy” is wasted through dissipation into the environment. Heat-pumps may seem at first glance to transgress the first law of thermodynamics, but as the name “heat-pump” implies, these devices pump available thermal energy from one space to another space, with the quantity of thermal energy moved now being a few multiples of the electrical energy consumed to move it. To heat 315 litres of water (the largest tank size option available), from 17°C to 65°C, with ambient air temperature at 20°C, takes 4 hours. Overnight ambient temperatures in winter have been as low as -7.7°C, but during the daytime the ambient temperatures climb above freezing. When ambient air is below freezing temperatures, the system periodically runs briefly to warm the water pipes to prevent them from freezing. In winter, the system usually needs to run for about 3-3.5 hours to recharge the tank. In summer, it can take less than 2 hours. I’ve also retired my gas space heater this year with a split-system reverse-cycle air conditioner (aka an air heat-pump) to serve both my space heating and cooling needs. The latest air heat-pumps are very efficient at moving thermal energy. Heating COPs can reach 5.81 (Daikin US7-2.5kW model). My unit has a respectable heating COP of 4.51 and cooling EER of 4.39 for a 5-kW rated cooling / 6-kW heating capacity. In my opinion, based on personal experience and other evidence I see, there is no justification to continue expanding the residential gas supply network. The latest solar hot water and heat-pump hot water systems are more energy efficient and cost-effective operationally than gas hot water systems, the latest reverse-cycle air conditioners are more cost-effective and energy efficient than gas space heaters, and induction electric cooktops are more energy efficient and faster responding than gas cooktops. I think the residential gas supply network should be decommissioned no later than 2035 – Australian homes can now perform much more energy-efficiently and more cost-effectively without gas. See this study Are we still Cooking with Gas?, published by the Alternative Technology Association, and the BZE Buildings Plan. Can’t see fossil fuel fired power having a long term role apart from the sort of peaking power that is only used for a few days a year. You may wish to think that, but I suspect the coal, gas & oil boosters will be fighting tooth and nail to prolong their vested interests for as long as they can. And while we have Malcolm Turnbull and the COALition in support, I don’t see that situation changing soon. And while we have some influential sections of the mainstream media in support of fossil fuels and denying climate change science the public have less chance of being competently informed of the looming existential dangers. Molten salt energy storage is done at atmospheric pressure at temperatures that can be handled by mild steel so the cost of storage is not all that high. In the engineering profession, there is no such thing as “mild steel”. To avoid misunderstandings a material specification is required, or as an engineer, you run the risk of being accused of being negligent. Hot rolled (black) steel bar and plate in Australia is usually available as either grade-250 or -350. Typical cold drawn (bright) steel bar can be M1010, M1020, or M1030 grades. Rolled hollow sections are usually formed from grade-350 steel. In my experience, some steels can have all manner of rubbish contained within if not careful with the sourcing of materials (e.g. China, India), including lead and copper and other nasty inclusions. Some lead in low concentrations in steel as part of the specification is used to assist machinability for low strength applications, but it is hazardous if welding. Lower grades of steel will have significantly reduced strength if subjected to the elevated temperatures that the molten salt working fluid can operate at (circa 600°C). I would expect higher performance grade steels in very close proximity to the working fluid are required under these conditions, even though the working fluid is operating at low pressures. Due to the nature of the ‘power tower’ design, pipe run lengths would be kept to a minimum. The technology appears to be well understood, and it seems experience has been gained in Spain and the US for molten salt thermal energy storage, fluid flow control, and piping applications. My understanding is that the storage tanks are sometimes filled with rocks to reduce the cost of heat storing salt mixes. Nitrates will decompose if the temperature is too high and the mix is used to minimize the melting temperature. I wonder whether you have sufficiently familiarised yourself with the technical details of the BZE Stationary Energy Plan, because some of your statements above and elsewhere suggests to me you haven’t. Or are you challenging BZE’s technical competency? Whoa, Geoff M is really kick arse isn’t he. Excuse me, Geoff M at 3.50pm. I am well aware of the First Law of thermodynamics. There is also a Second Law and indeed a Third Law. These are laws of physics, not mere engineering/architecture observations. “Inefficiencies” in energy conversion are not due to human stupidity; they are inherent in thermodynamics. 100% efficiency of conversion is as strong a physical limit, as the speed of light is an upper limit on velocity. I do not require your corrections or amplifications on thermodynamics, though you have most generously supplied them. If you like to view it as “kicking arse” Mr J, you are welcome. With your new library card, have you ventured into 530 Physics yet? Not how I would have expressed it Jumpy. Possibly I may now have guessed the difficulty: I referred to energy being “lost”. It wasn’t lost, in the sense of disappearing from the Universe. No, it was dissipated. But it became removed from the purposeful sphere in which humans were generating then converting it. Only “lost” from that. The gods on Mount Olympus might look with equanimity upon that dissipation. How foolish of me to take the speciesist, human viewpoint. By the way, Geoff M: you are scarcely in a position to complain when a poster talks about someone ” not being in their right mind”, considering the abuse and invective you have regularly dished out on this blog. It may be more productive to point out where Geoff M is wrong rather than focus on hurty feelings. But being a dullard in the presence of obvious genii ( not the 3 wishes type ) my suggestion may be moot. At 6.04pm, J, I merely pointed out where Geoff may have misread a comment I made, which might have been expressed differently (I conceded) but which Geoff then proceeded to build a mountain of a reply on. Sometimes I’m not sure I understand particular sentences or phrases you contribute, Mr J, but at least you are concise . BTW I did recently give an example where Geoff M had misunderstood (misread) a comment of BilB. Should I spell it out again? BilB mentioned figures for costs of biofuels that the US Dept had produced. The Dept had produced (cited, published) the figures. Geoff M went off like a firecracker, claiming that BilB had wrongly said the US DoD produces (manufactures) biofuels. In that instance, I reckon Geoff M was wrong. No hurty feelings; I didn’t rush to “correct” Geoff M.
But I think he was wrong in that instance. Please don’t go and choke on your popcorn. You’ve dropped the ” Mr ” in a huff, ok, cool. Mr A , yeah, nah, this tread, this topic . Truth be told I’ve reread Geoff Ms comments on this thread and am hard pressed to fault them. Mr Mr Mr Mr Mr.
Golly, is that the time? Let conciseness be our watchword, shall we, Mr J? If you prefer “Lord J”, I can comply. BTW I use “Mr” for courtesy. How about we chat about twisted knickers on the Salon thread tomorrow and let this one keep on going swimmingly? I have no wish to discuss knickers. which you might look up on your next visit to the Library. I apologise to other readers for having clogged up the blog. Patients try for Saint = obscure rugby reference, possibly regarding rehabilitation rugby game in hospital grounds for convalescing patients; very obscure; under recent cost cutting policies no convalescing in hospitals allowed; this reference is consequently prohibited and must be tossed down the memory hole. You are correct – my mistake. Thank you for pointing this out. Just because the auto spell checker says it’s OK doesn’t mean the context is correct – a trap to avoid next time. Perhaps next time, Ambi, you should rely on the actual text, rather than your vague and apparently false memory of it? Now that you have the actual text, perhaps you could point out to me where you reckon I misread BilB’s statements? I call out nonsense and fictions when I see them, and respond with counter-arguments and evidence. I try to engage with the technical topics in question and refrain from name-calling and personal attacks. My assertive and forthright manner may be misconstrued as being rude and discourteous to those who dislike confrontation and intellectual ‘argy bargy’. You all seem to have unlimited access to the internet where there are vast amounts of data available – I don’t have that same luxury – yet some of you appear not to avail yourselves of it to obtain relevant facts before commenting, and more importantly, don’t appear to present thoughtful/insightful comments. I don’t have a problem, in the main, with Brian’s posts and comments, because he presents evidence/references and cogent reasoning. I’m impressed by his prodigious and detailed output. I may disagree with some of his political views, but that’s OK – that’s expected, and I respect that he may have some differing views. I applaud him for his efforts. Brian seems to be able to do his research on a range of subjects comprehensively and thoroughly. We should all be following his example, and perhaps the commentary can be more informative, thoughtful and insightful. And don’t get impatient when I don’t reply immediately to your questions – I’m not on the internet 24/7. I ask that we all have some self-control and focus on the subjects under discussion, rather than concentrating on bruised egos, and projecting personal attacks. Point out where I’m wrong with evidence and logic/reasoning – I can handle it. Truthfully, I’d like some of the evidence I see to be wrong, but just because I’d like it to be wrong doesn’t necessarily make it so. I don’t expect you to reply promptly, or at all. On the “recent firestorm” of posts…..
You are right: I may well have misremembered something!! I spent quite a while scrolling around, looking for the comments in question, and failed to find them. I wanted to cite the particular comment(s), as you and others do. It’s a useful practice. The only way to go. The instance I (thought I had) recalled is not one of those you have cross-referenced above. That’s a private mystery for me which need not concern others. In future I won’t allege an error unless I can cite it directly.